The school has Football field, Volleyball, Basketball and Badminton Court. It also has a well equipped swimming pool. 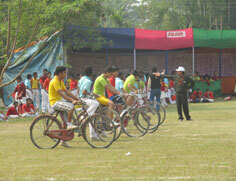 All these sport activities are undertaken under the supervision of qualified coaches. 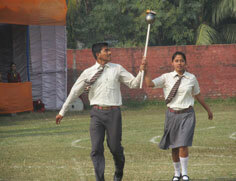 The school also encourages traditional sports like Kho Kho. It also has facilities for indoor sports like Table Tennis, Chess and Carom. 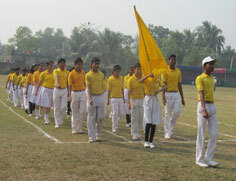 Inter House sports championships are organized all around the year.